Boston is home to a lot of things, not the least of which is the infamous “T” - or the MBTA – otherwise or more politely known as the Massachusetts Bay Transportation Authority. The MBTA was created by the Massachusetts Legislature almost a half-century ago, in 1964, to act as the central public transportation system in Massachusetts. While the largest and most central public transit system that the MBTA either owns or operates are the subway systems, bus lines, commuter rail lines and even ferries that run through and around the greater Boston area, public transportation in Massachusetts is not limited to the T, or to the greater Boston Metropolitan area. In fact, there are several public transportation authorities that exist in Massachusetts, aside from the MBTA. These are mostly regional public transportation authorities, which will be listed in more detail toward the end of this page. Unsafe conditions can take place in a variety of different places, such as streetcar stops, subway stations, bus stops, or train stations, and inside streetcars, buses or trains. 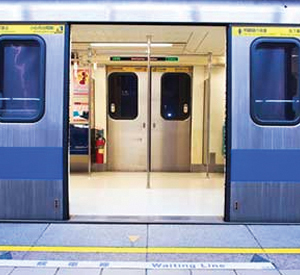 Injuries can also take place on stairs, platforms, escalators, elevators, subway and train entrances and exits. The precise details of these accidents will vary, but if the accident took place on property that is owned or operated by the MBTA, and was the result of negligence, then we at the Law Offices of William D. Kickham, Esq., can expertly advise you and represent you in securing the compensation for your injuries that you deserve. The effects of these accidents can sometimes last for years, depending on how severe the injury is. Additionally, many accident victims suffer serious emotional and mental trauma, requiring extensive psychotherapy. Wrongful death cases may involve damages for loss of companionship and loss of support. The Law Offices of William D. Kickham, Esq., has successfully handled many MBTA accident cases. Our lawyers know how to successfully litigate these cases. We know how serious the impacts of many of these accidents can be – the effects of some of these accidents can last a lifetime, depending on the severity of the injury involved. Our Massachusetts subway/bus/commuter rail accident lawyers are committed to maximizing the compensation you are eligible to receive as the result of your injury, as fast and as efficiently as possible. First and most obviously, obtain necessary medical treatment. Second, contact an experienced Massachusetts MBTA streetcar, bus, and train accident lawyer in order to make sure that your legal rights are protected. Third, do not say anything to any representatives of the MBTA management offices until you have spoken to your attorney: Sometimes, accident victims make immediate statements to accident investigators, which can compromise their cases. As with all accident cases, MBTA accident cases are governed by a Statute of Limitations, and this often involves a shorter period of time to commence the case than in an action against a private (non-public) transportation carrier. Also, an experienced attorney will want to promptly act to preserve all your legal rights and options, as well as commence his or her own investigation of the accident. Make the Right Choice. Boston, Massachusetts MBTA Accident Attorney: Why Hire the Law Office of Attorney William D. Kickham to Represent me in My MBTA Accident Case? If you or someone you know has been injured in a Massachusetts subway accident, a Massachusetts bus accident, or a Massachusetts commuter rail accident, and is considering a Massachusetts negligence lawsuit, that person is going to need to retain a talented and experienced Massachusetts MBTA streetcar, bus, and train accident lawyer – one who can demonstrate a proven track record of success in winning these cases in Massachusetts. To choose an attorney who only handles these cases “now and again” is a foolish decision, and anyone who does so is inevitably going to be sorry. In the legal profession as in any profession, “experience and proven results” means everything. Don’t make that kind of mistake. We know how to try and win these cases, and our talent is among the highest. Call us 24 hours a day, seven days a week at Ph. : (781) 320-0062, or contact us online for a free initial consultation, and we’d be glad to let you know what your legal options are, and what we can do for you. Westwood and Boston, Massachusetts MBTA injury attorney William D. Kickham has appeared as a legal analyst on a variety of respected media, including Court TV (now In Session on HLN,) Fox News TV-25/Boston, The Boston Herald, WBZ-AM Radio 1030, WCVB-TV5/Boston, Nightside With Dan Rea, Greater Boston With Emily Rooney, Money Matters Radio/Boston, and The Metro Newspaper/Boston. Attorney William D. Kickham is turned to by respected reporters and media organizations in Massachusetts as an authoritative expert in the field of Massachusetts personal injury law, and the case results this. He produces for his clients attest to this. Call us today at office number (781) 320-0062, or Atty. Kickham’s cell phone number at (617) 285-3600, to arrange for a free initial consultation of your case. If the matter is not an emergency, you can email us here and we will respond to you very promptly.